As much as we would like to help you make the best selection for a car seat support, it is not possible to do a proper “fitting” via email or phone. Not all back problems are the same, not all people have the same shape, and car seat shapes and angles vary considerably. What kind of back problem to you have? In order to find an effective back support, it is important to understand what aggravates and eases your back symptoms. Are your back symptoms worse when you are weight-bearing? If your back is worse when you are upright (e.g., standing, walking, and sitting), and is better when your spine are recumbent or un-weighted (e.g., lying down, swimming, hanging from something/traction) you may have to recline to relieve spinal loading. Unfortunately, the further you recline the more difficult it is to see the road and drive. In this case, driving could be difficult no matter how good the back support. Are your back symptoms positional? If you feel better only when your spine is aligned a particular way (e.g., curved vs. flat) and you do NOT have weight-bearing symptoms, then there is a good chance a lumbar sitting support will be effective. This assumes that your car seat height and angles are suitable for your body size and flexibility, and that the foot pedals and steering wheel are within a comfortable reach. Are your back symptoms worse when you stay in one position too long? This is often the case with inflammation and certain spinal disc pathologies. 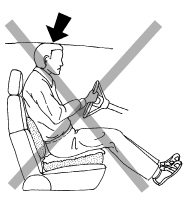 In this case, static driving postures limit one's sitting tolerance no matter how good the posture. Lumbar sitting supports have limited success in cases when symptoms are better with activity (e.g., walking) and worse with rest (e.g., worse when you wake up in the morning or after you’ve been sitting awhile. Before you purchase a lumbar support sight-unseen, it is a good idea to experiment first with some homemade interventions. Experiment with seat height. Raising the seat often reduces spinal loading and improves posture because it opens the thigh-to-torso angle. Lowering the seat can improve stability. 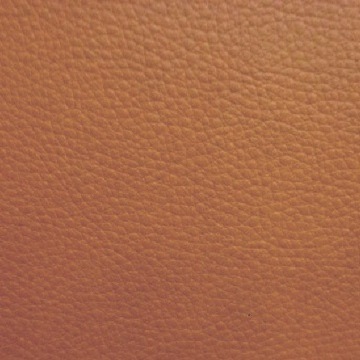 Car seats are often too low. Use bed pillows, folded towels, phone books, whatever you can find to raise the seat. Experiment with seat and back angles. Raise the front of the seat improve stability. Raise the rear of the seat to open your hip angle and increase lumbar lordosis. Bolster your upper back to sit more upright. Bolster your lower back to recline more. Use folded towels, small pillows, or a foam wedge to find your best seat and backrest angles. Experiment with lumbar support. Remember: lumbar support is only effective when your seat height and angles are correct, and if your symptoms are not worsened with loading. Use towels, rolled up clothing, small pillows, or whatever you can find to fill the void in the small of your back. Caveat: Tall people have more difficulty achieving good driving postures. If you are tall and the seat is low with limited head room and leg space, little can be done to support you in a healthy way no matter how good the back support. You may need to trade in your sports car for an SUV or truck. Years ago we offered free car-seat support fitting services in our Berkeley store, however we closed the store in 2003 and no longer have a facility to provide those services. We do have a few back supports in our Vallejo, CA warehouse you are welcome to try if you are in the SF Bay Area (by appointment only). Otherwise, we encourage you to seek out a local supplier.